Nostalgia is the strongest vibe at a well-executed vintage-inspired wedding! The past is a beautiful place, because it is what our fondest memories are made of. Celebrating the past, as you step into a new chapter in your future, is a wonderful feeling. This is why vintage themes are still so popular. Borrowing ideas and inspiration from the past decades is easy, as all we have to do is turn the pages of our memories. There will be many things that stand out powerfully, and these are what should feature in our wedding plans, as these are the elements we hold dear to our hearts. Everything at a wedding starts with the invitations. These little information notes offer a sneak peek into what guests can expect at a wedding. 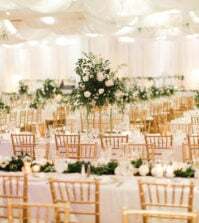 Hence, your vintage wedding should also showcase the most striking elements from the vintage era that have influenced your wedding planning, or base it around the style that you have chosen. Here are some fantastic ideas for vintage theme wedding invitations, and we are sure that the bride who loves nostalgia will be smitten by most of them. Come, take a look! One thing that most vintage brides love is lace. Lace is a beautiful and delicate work of art, that has evolved over the various decades into various styles. Nevertheless, it is one element that has always been a favorite. Treated as a sign of royalty in the previous centuries, this pretty element has even inspired many weddings with its finesse and whimsical details. Lace can also combine with elements like beads, rhinestones and pearls to take on a sparkling and more festive look. Hence, this is a perfect factor to use on your wedding day, and why not start with your wedding invitation itself. Just like fabric, lace designs on paper are equally bewitching. Depending on your preferences, you can even choose the specific type of design to match the rest of the lace you will be using at your wedding. 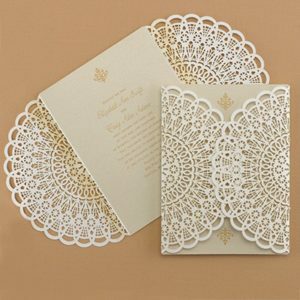 Whether you prefer the rustic Battenburg style lace, pearls and lace work or the designs on doilies, we have invitations that are just right for any of your tastes. Featured here is a romantic vintage lace invitation taken from our vintage collection at Best for Bride. Laser cut paper has been embellished with tiny sparkling details and lavish doses of shimmer to create a spellbinding beauty that your guests will certainly love. Other equally attractive options include a beautifully textured Battenberg lace invitation and the elegant pearls and lace invite. Monograms are a trending favorite, and this is the perfect design element for a vintage wedding invitation. Although monograms are usually considered contemporary, vintage monograms can be created without much difficulty with ornate calligraphy. The main reason we love the idea of vintage monograms as the defining element of an invitation, is that it can add a beautiful, personal touch without much complication. The same monogram design can also be used as the embellishment in your wedding décor. This is the easiest way to add an integrating element to wedding scene. Another factor to remember is that monogram invitations are the perfect way to make your invitation uniquely yours, as it is uncommon for two couples to share or choose the same design for their initials. This vintage monogram invitation from the Best for Bride wedding stationery collection is an elegant and attractive choice for any vintage style wedding. Fashioned in the classic black and white combination, it features a translucent overlay with the monogram print lying over the actual invitation message. The two pieces of paper are tied together with a beautiful black satin ribbon, that adds the finishing touches to this beautiful invitation card. You can find out all the details regarding this invitation as well as place your order for this design at this link. Hand drawn florals were a beautiful attraction in the last century, and flowers done in pretty watercolor style with a touch of shimmer were always a favorite with the masses. This popular style was often seen on Christmas, birthday and aniversary cards, and reminds us of the paintings that adorned many homes in the last few decades. Although this form of art may have given way for newer, modern styles, the design continues to inspire and has an unbeatable vintage vibe. Simple yet beautiful, watercolor floral details on a white invitation card make a perfect addition for every vintage-inspired wedding, and we are sure this will be a pleasant choice for the bride who loves nostalgia, and the guests at her classic wedding. This card from the Best for Bride Bat Mitzvah collection contains colorful flowers in a soft range of pastels adding a lovely touch to all four edges of the card. Further charm comes into the picture, through the addition of glowing rainbow foil frames and a sprinkling of shimmer all along the sides. Although the card is flat and full color printed, it has a touch of class and will be liked by many couples. Perfect for a garden wedding, or even an indoor wedding where the décor contains many floral elements, this printed invitation is paired with plain white envelopes. To find out more about ordering this invitation and customizing the details for your wedding day, check out this link. Art deco was the prominent decoration style that flourished in the 1920’s and 1930’s. The style is characterized by precise and perfect bold geometric shapes and designs. The patterns and colors used in this style are indulgent and rich. The luxurious details were done in bright and very stylish colors like gold, silver and bold shades like black, navy and red. This style heralded a whole design movement, and it appeals to one and all, because of it’s rigid lines and structures that are complex but attractive. Brides who love structured and organized designs with a flair of details that look interesting from various angles will love the charm of art deco invitations. The invitation featured here is an example of very beautiful art deco work, and it belongs to our vintage invitation collection at Best for Bride. The lovely design is in black and white, but the colors can be changed to match your preferences. Notice how the simple repeated design is distinctly enchanting. It is not too cluttered, but the repetitive motifs add extra charm to it. You can place your order for this invitation by visiting this page on our wedding invitations website. One of the best things about the vintage years was how life was slow and full of color and music. Unlike today’s hectic life, where nobody has the time or energy to enjoy the small pleasures of life, the yesteryears were jovial, exciting and filled with small joys. People leisurely noticed the chirping of birds, as they walked through gardens with blooms, enjoying and marveling everything that nature had to offer. Not many people have the luxury to enjoy the spellbinding beauty of the countryside today, like they could in the past. However, it is a facet that will always be associated with the fondest memories of the past. An invitation card that captures the essence of the joys and music of the vintage eras, will be a beautiful addition to your wedding. A nature-related silhouette that features songbirds and butterflies amidst a lush scenery of flowers on branches, all beautiful countryside icons, makes this invitation a wonderful sight to behold. The silhouettes are embellished with beautiful prints and patterns that make it all the more attractive. The surface is textured on both sides. The little details and the designed edging makes this invitation a beautiful work of art. We are sure that your guests will almost feel that wisp of fresh country air brushing across them the minute they open the envelope to reveal these pretty details. Find out how you can order this online-exclusive card by visiting this link to our online store. When we think of the past, don’t we always find roses richly populating the scenery? Roses are an iconic symbol of the past, and though they are still as popular as ever, they are more closely associated with bygone eras and romances from the past. So, weddings inspired by rose-studded details are vintage, and these beautiful flowers are a wonderful inspirational element for a range of celebrations. To make it really classic and striking, roses have to be in colors like peach, salmon and pink, and accented with just the right amount of blacks and greens to look like they belong to another time. The best way to achieve the effect is to have a card that has the wordings ornately arranged in a border or colored rosey details. In this invitation card, we love the way the lettering is embedded in a rich and colorful salmon colored flourish of roses. Further enhancing the romantic feel of this card is the translucent folder that this is tucked into.This overlay may be customized with a monogrammed detail, that further ties to the vintage theme, and makes the card a mesmerizing beauty. The cover is equally attractive with pretty roses studding the side, and providing a sneak peek into what the card contains. We think this is the perfect card for a rose garden wedding. Find more about ordering this card at this link. With time and age, some things grow more beautiful. There are certain things that bring along a succession of memories and just one look at these will immediately set the mood for a vintage wedding. This is why it is sheer genius to add that unusual touch of whimsical details to your wedding with beautiful cork invitations. Cork has forever been associated with aged wines, lovely vineyards and many more stories and memories from an age we can hardly remember now. Here is a cork invitation card that is entirely different from anything we’ve seen before. Aside from the material that is used for the purpose, this card is equally attractive for the reason that the typography is unique and very nostalgic. The scroll style lettering and the distressed coloring that is so uncommon in wedding invitations makes this card a work of art that is instantly captivating. It is also a card that will work well at a vineyard wedding or be loved by wine connoisseurs. If you like this invitation card and would love to use it at your wedding, check out this link to find out all you need to place your order for it. Vintage weddings are a wonderful style of weddings, and one that not just the present generation, but the previous generations also love. While we cannot return to the fun and energetic times of the past, we can at least recreate the beauty of that time through a wedding centered around that theme. And, setting the stage for the celebration are invitation cards that feature one of these essential elements, like the ones we discussed today. This is only a sample of the hundreds of invitations you can choose from, in our extensive collection of wedding invitations and other wedding stationery at Best for Bride. There is enough for every theme and color, style and budget. So, head over to our invitation suite when you have time to spare, and you can start with the task of choosing your wedding invitations today. 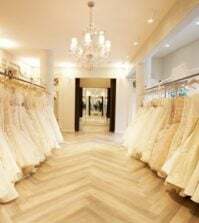 For more wedding tips, advice and any other wedding needs continue visiting us at Best for Bride—your unique destination for everything bridal. All of these wedding invites are very neat and fit right in with the vintage theme. We are going with a black and white style monogrammed wedding invite. For the both of us, it just speaks the right words. Hmmm, adding the cork is a nice touch. Just adds another “feel” to the wedding invite. when I see a wedding invitation that has almost clear, craft like paper on it, I wonder what the reason it. I guess it looks more elegant or vintage, but I find it to be a waste. Thank you for the tips. There is so much information online regarding wedding invites, it is hard to decide. For me, the invites are the most draining to think about. I just want something simple, is that a bad thing? 🙂 Planning how many people and where to sit them was hard enough! I have collected hundreds of wedding invites over the years. I keep them. Some of them are very artistic and deserve to be shown for years to come. These designs would fit right into my collection! Why? Is this like a new hobby? 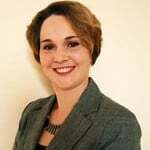 My fiance wants to have a vintage style, so I guess that is why I am here.